The sherry industry plays a very important role to the production of whisky. As many of you will undoubtedly know and explain at length to bored friends others, Scotch whisky must be aged for at least three years in an oak barrel. Scotch tends not to use fresh ‘virgin’ oak, as the tannins, lignins and vanillins from the wood can overpower the spirit and give undesirable flavours over time. Instead, distilleries reuse casks that have been used elsewhere – from the bourbon industry, sherry production and, increasingly these days, wine casks. In simple terms, whisky maturation is all about extracting organic compounds – or rather, flavours – from the cask. So what was in that cask beforehand, and what that liquid left behind in the wood, will undoubtedly play a role in what the whisky will end up tasting like. Today, most Scotch whisky has been matured in ex-bourbon barrels, which are produced on an industrial scale for the bourbon industry in the US. They are typically 190 litres in size. Bourbon laws state that these casks cannot be reused, and so must be discarded – or, rather, sent to Scotland for Scotch whisky production. Sherry casks, on the other hand, are 500 litres in size and are considered to be very desirable in the Scotch whisky industry. They’ve been used in Scotch production for over 200 years. According to The Science and Commerce of Whisky (Buxton and Hughes), sherry casks ‘tend to be longer lasting and impart desirable flavour and colour characteristics to the spirit…’ The book goes on to add that due to the ‘mismatch’ between the volume of sherry shipped in casks against the amount of whisky being produced, there’s a scarcity of sherry casks. How are sherry casks made? Sherry casks are made from predominantly American oak (Quercus alba), but also from European oak (Quercus robur). Although there seems to be some debate on the ratio of exactly what species are used in sherry production. Needless to say, Spanish oak supplies are dwindling and the casks made from them are much more expensive. Once the trees are cut down, big staves of wood are seasoned for a year or so in the southern Spanish sun until the moisture content is reduced to about 15%. A Spanish cooperage, in which the barrels are made, uses a much more hand-built method, rather than big factories. The casks when being assembled are placed over fire-pits, where they’re slowly toasted – imparting caramel-like flavours into the oak. It’s a very slow process compared to bourbon barrel creation, which no doubt contributes to the high cost of a sherry cask. How do sherry casks influence whisky? But given the sherry industry uses predominantly American oak these days, and European oak is in short supply, it becomes even more difficult to state the differences between sherry and bourbon wood influences. 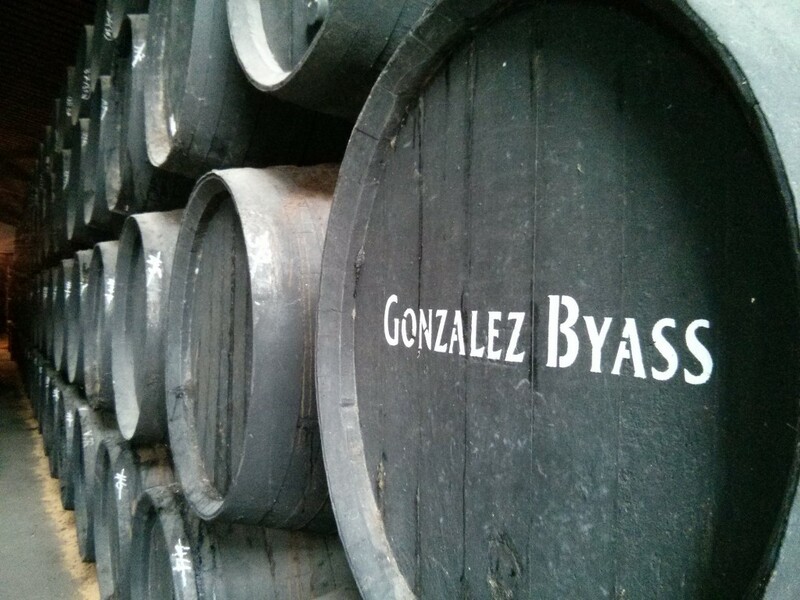 And in fact, different distilleries use casks that have held very different varieties of sherry. For example, Dalmore uses (among many) matusalem, apostoles and amoroso sherry casks. GlenDronach and Auchentoshan both use Pedro Ximénez and Oloroso sherry casks. Glenfarclas uses oloroso or fino. Glengoyne has used palo cortado casks… You get the idea. There are so many complexities involved – not just the wood species, but how long the sherry has spent in that wood, what the different sherry varieties take out of the wood, and where the wood was stored in the warehouse. And of course, a ‘first-fill’ cask means that it has aged whisky for the very first time. A ‘second-fill’ cask will mean it’s already housed whisky, and therefore many of the cask’s effects will have been reduced. It’s complex, is the short answer. All I can do is try a little of the sherry to get an idea for the variety. Aged for 8 years by Manuel Lozano of the famous Emilio Lustau House. Colour: treacle. You can certainly see where the darkness of the colour comes from in a PX-matured whisky, given it’s so intense. On the nose: enormously thick molasses. Intense raisins, figs and prunes. In the mouth: basically the same as the nose with that intensity. It’s exceptionally sweet and ridiculously delicious. It’s obviously not quite as thick as molasses, but not far off. Mellow, with a sprinkling of spices: cinnamon, coffee, nutmeg. 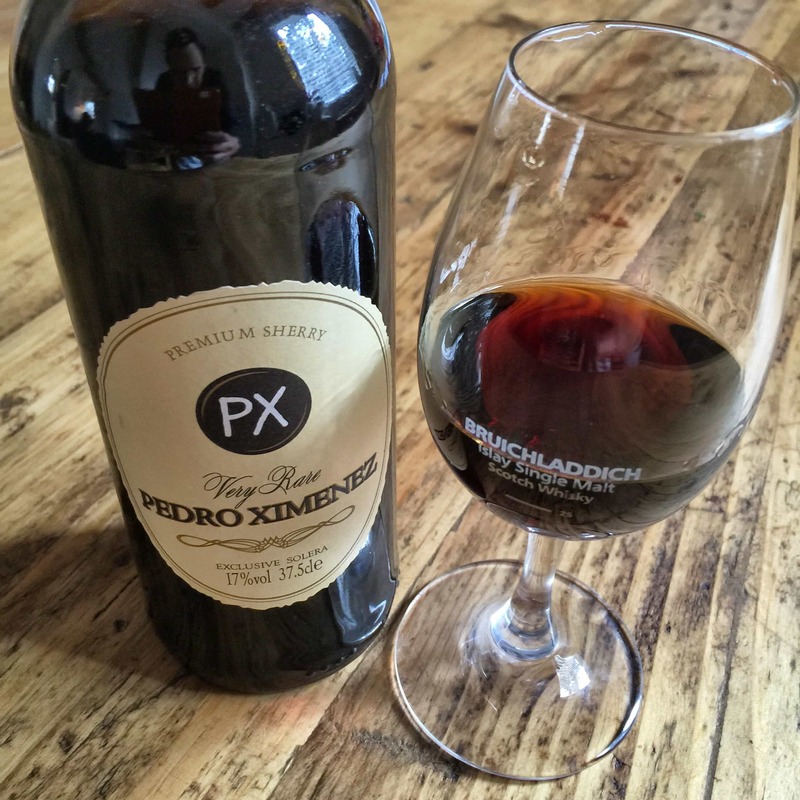 This is potent stuff, but dangerously drinkable… Pedro Ximénez must surely be responsible for some absolute sherry-monster whiskies. Here are links to a few single cask whiskies I’ve reviewed that have been matured exclusively in Pedro Ximenez. A dry fino variety, this has been aged for 7 years in a solera located in the coastal town of Sanlucar de Barrameda, at the famous sherry house of Lustau. Colour: deep gold. On the nose: you could not find a more different flavour to Pedro Ximénez. Fresh and very coastal, if a little yeasty. Cashews. In the mouth: salted fish, almost tea-like. Grapefruit juice, lemons, and rather nutty. Not to my tastes if I’m honest, but certainly an interesting taste experience. A rare palo cortado from one of the very finest sherry producers, Emilio Lustau. Colour: henna. On the nose: rather pleasant. Some way between the Pedro Ximénez and manzanilla. Leather. Coffee. A touch coastal. In the mouth: dry, a little bitter – again Grapefruit juice, but perhaps it’s more pronounced here. Pears. Prunes. Malted milk biscuits. Very crisp. Bonus links: here are a couple of whiskies I’ve reviewed that have been matured exclusively in oloroso sherry casks. Will this tell me anything new about whisky? Three sherries, and they’re all radically different. I think, if anything, what I’ve learned from this sherry exploration is just how much variety there is. It all helps when it comes to appreciating whisky, and better understanding its provenance. But really, it’s about the wood. To say a whisky was matured in oloroso, for example, only tells me so much. Was that American or European oak? Perhaps if I knew that the whisky used casks of European oak, and from an old prestigious Bodega, it’s probably not going to be a cheap bottle (and, so I believe, is one of the reasons Dalmore and Macallan whiskies are a little more premium). In future, I know I’ll be more alert to the type of sherry casks involved whenever I taste a dram. I’ll try to ascertain the origin of the cask, where possible. I only hope that distilleries offer such information willingly on the labels. Personally, it’s this sort of thing I care more about than the age of a whisky, although knowing that too helps a whisky drinker understand what’s in her glass. Meanwhile, if anyone has insider knowledge about what sherry casks whisky distilleries use these days, then do let me know. The Whisky Exchange’s posts on Sherry casks. Malt Madness’ article on the maturation of malt whisky. I also highly recommend watching this series of videos with Charles MacLean, where he visits the Bodegas of Spain as well as the bourbon cooperages in the US. Did you already try the Cuatro Series from Tomatin? It’s a series of four whiskies, finished in four different sherry casks (fino, manzanilla, oloroso and px). It’s a great way to see/smell/taste the differences between various sherry types. If I’m not mistaken, most bodegas use American oak to mature sherry in stead of European oak. The structure of quercus alba is more dense, so less leakage and Angel’s share. At first I thought bourbon = american oak and sherry = european oak. 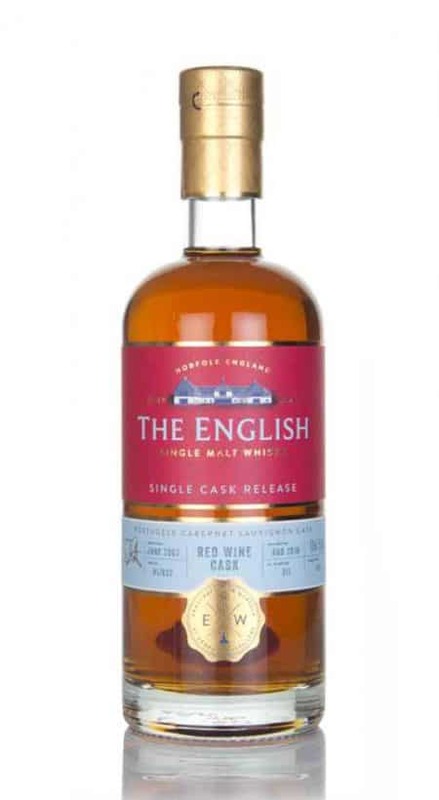 But it seems the previous content of the cask isn’t really entangled to the provenance of the wood… And most distilleries are being a bit woolly on that “detail” and still prefer to say “European sherry casks”. Thanks for the kind words, Gert! You know, I knew about the Tomatin series, but for some reason didn’t mention it at all here. I think that’s one I can certainly try in the future, as a second part to this perhaps. Yes, I think you’re right on the bodegas using American oak. As you say, they prefer it, although the whisky manufacturers perhaps wish they would use more European oak. It certainly makes the task of analysis more complex! The sherry industry doesn’t just prefer American oak, they’ve been using it exclusively since the early 1900s. Shipping casks (which were adopted by the whisky industry) have always been different from maturation casks, and since sherry cannot be shipped in barrels any more, the industry of preparing / seasoning casks with sherry has become separate from the actual production of sherry. Once you season a new cask with sherry, the sherry takes up so many tannins that it is lost (well, no, they can make vinegar from it). Hence they’re not using the best sherry for seasoning. A young wine or even a fermenting must will do. Thanks for the comment, Ruben. Do you have any resources that indicate this? So far as my research can tell, in offline literature as well as online (which I find less reliable) there are some distilleries that have been using old sherry casks that have not merely been seasoned, but have actively had some of the properly produced sherry casks (the provenance of the wood species remains to be seen). I’d love to see some accurate information on this. The problem is that neither the distilleries, nor the cooperages are keen to tell which recipe they’ve followed. 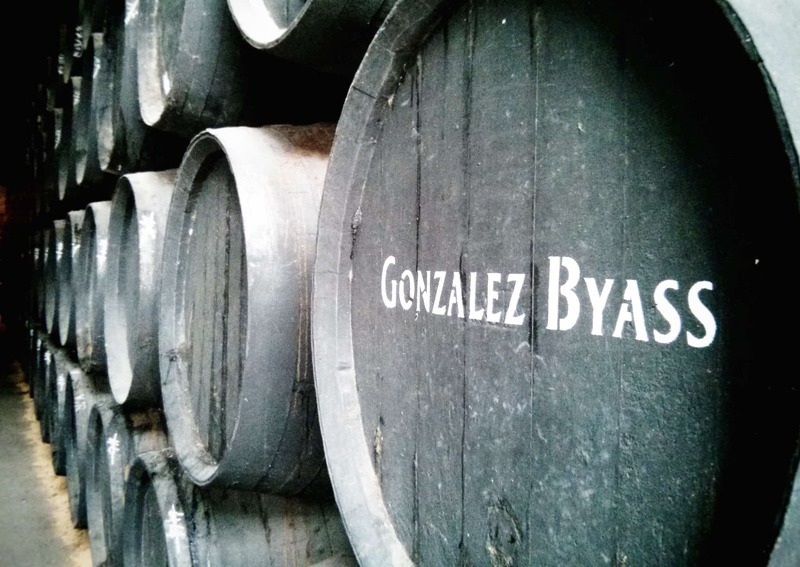 Of course some casks are ‘bodega casks’ (or assembled casks from used wood) but I know from my own conversations with Spanish cooperages that the vast majority of their production is new casks that are being treated with wine (usually 2 years). The wines used are usually ‘rayas’, courser wines that are difficult to sell on their own. I can think of only one whisky that was (deliberately and openly) finished in an actual, traceable bodega cask, see http://www.sherrynotes.com/2014/reviews/palo-cortado/palo-cortado-vors-tradicion/ While the sherry is excellent, the whisky was not so good… It proves that both industries are looking for totally different casks. Great piece as always Sir. Thanks, Brendan – very kind, and will do. Awesome article! Loved the deep dive.